There always seems to be one or two games in each console generation that have struck a chord with me. I am talking about those games that, upon playing them for the first time, proved to me that it was something that couldn’t have been done the generation before. 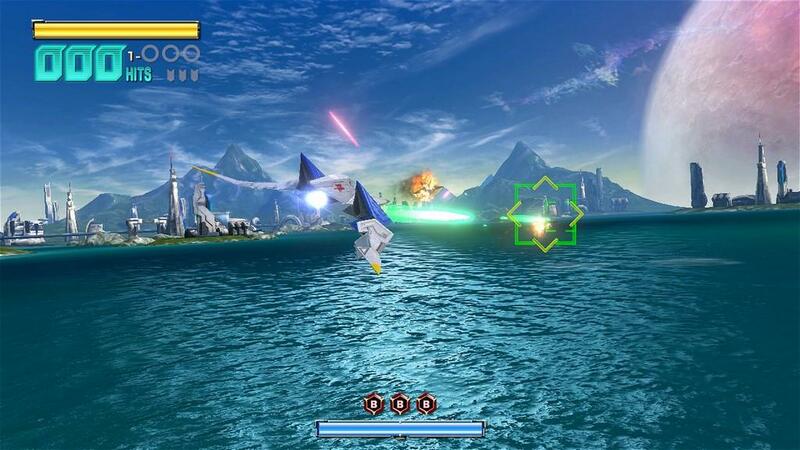 Back during the 16-bit era, Starfox was one of the games that completely changed the way I looked at video games. I had traditionally hated any sort of flying / aerial combat games up until that point, but there was something about the game that hooked me from the start. My infatuation with the series continued when it launched on the Nintendo 64 four years later. Being a fan of the franchise, I was a bit excited when Nintendo announced that they were “reimagining” the series for a fresh start on the Wii U. Add in the fact that one of my favorite development houses, Platinum Games, were involved and I was practically over the moon. We’re now just a few short weeks away from the game launching and we’ve managed to get a hold of an early release copy to run the game through the paces before our full review goes live. I’ve managed to put a number of hours into the game so far and all of the charm and thrill of the franchise remains in tact. 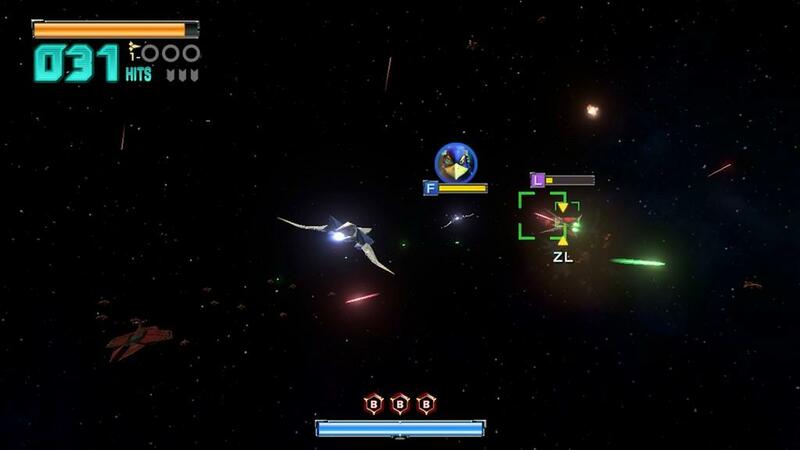 Unfortunately, so far, finicky controls seem as if they will keep fans from enjoying everything that Star Fox Zero has to offer. The game starts off with an introduction to the new control scheme, which we will discuss in depth here in a bit. After the brief tutorial, which you can revisit any time from the main menu, you’re taken to the start of the campaign where it is immediately clear that this is a story that we are very familiar with. This is the same story we have come to know over the past 20 years. You are Fox McCloud, the son of famed fighter pilot James McCloud, who sacrificed himself in battle against the evil Andross in order to save the remaining member of his squadron, Peppy Hare. 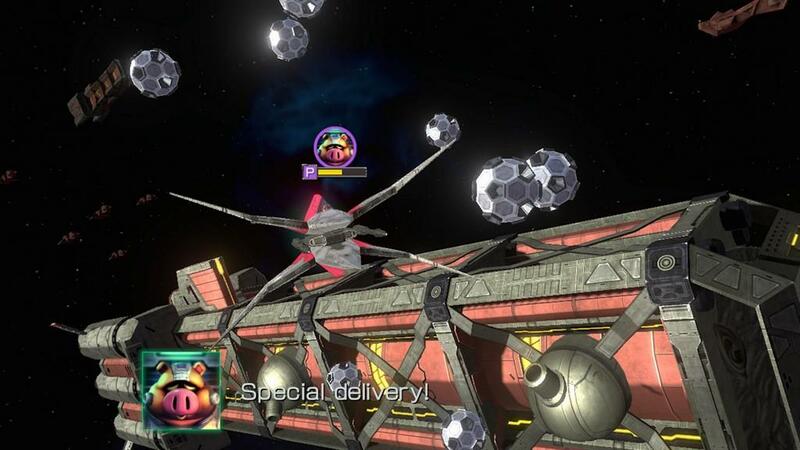 Star Fox Zero is a re-imagining of the story from the original SNES release. There are some differences, both in the actual tale being told and in the gameplay that you will experience. 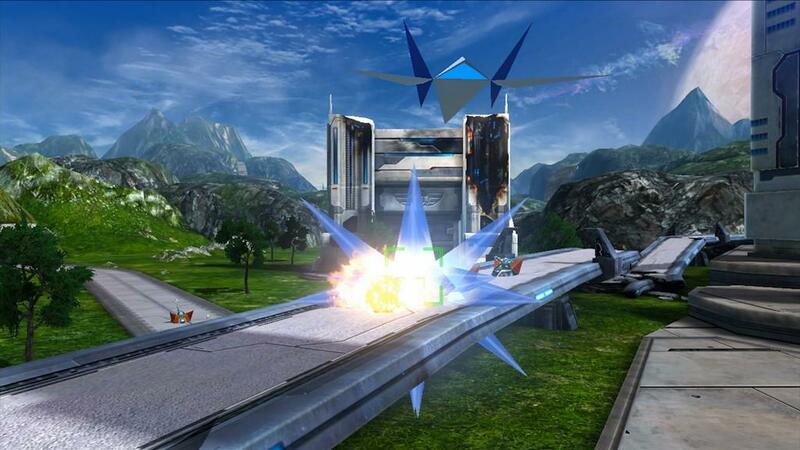 You’ll be exploring familiar Star Fox worlds like Corneria, Titania, and Fortuna, but they look better than ever. The game looks absolutely fantastic on Nintendo’s latest console. The development teams have stayed true to the art style and character designs that have been staples of the franchise since the start, but they have been given a nice, high-definition coat of point that truly brings out a lot of details in the game world. It’s really cool to finally see the scenes of your squadron skimming across the top of a body of water on the surface of Corneria the way I always pictured it in my head when I saw the original games. It looks and feels just like the X-Wings skimming across the water in Episode 7, which is a thrill to experience every time. That should give you an idea of the level of detail that is present in the new visuals. 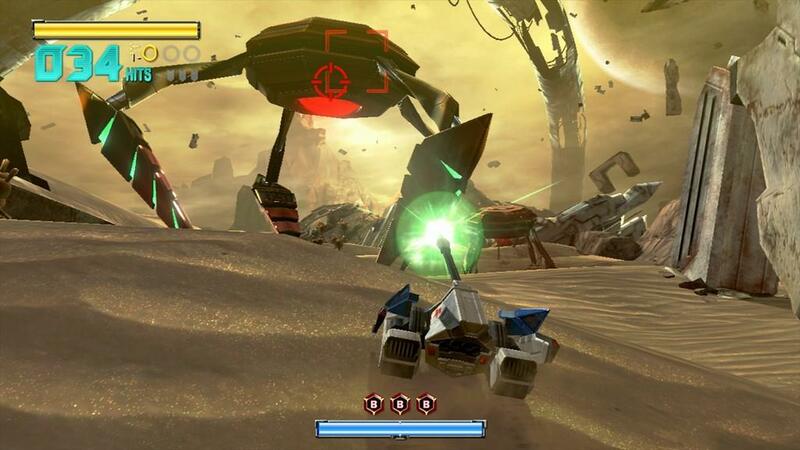 There are a lot of features that have been added to the experience to make it feel a lot more modern, such as numerous other vehicles in addition to your trusty Arwing. The first one that you are introduced to happens very early in the game and that is the Walker. This is a land-based vehicle that is actually a transformation of your Arwing. Once the Walker is introduced, you can switch back and forth between the Arwin and Walker modes at will with the press of the A button. This unit provides you with an extremely agile ground vehicle that is as quick as it is deadly. It sort of reminds me of the old Mousers from the original TMNT cartoon. They are quick and agile, having the ability to hover short distances to gain verticle ground on your opponents. There are other vehicles introduced as the game goes on, including the Gyrowing and the Landmaster Tank. Each one adds a bit of depth to the game and really switches up the gameplay experience in the various levels. While all of this is great and creates a fresh yet familiar experience, there is one glaring problem with the game: the controls are ridiculously bad. While I can see exactly what Nintendo is trying to accomplish with the control scheme it really doesn’t work too well. As you would expect with most modern shooters, the left analog stick is used for dictating the movement of your craft while the right analog stick moves the camera. The actual movement of your targeting reticule relies on the physical movement of the Wii U gamepad. 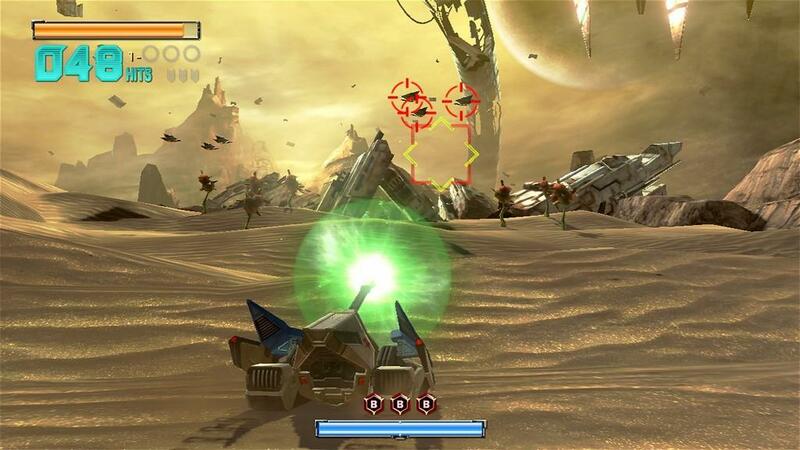 So, in theory, you have three individual components of the control system: vehicle, camera and targeting reticule. This system makes sense in theory. 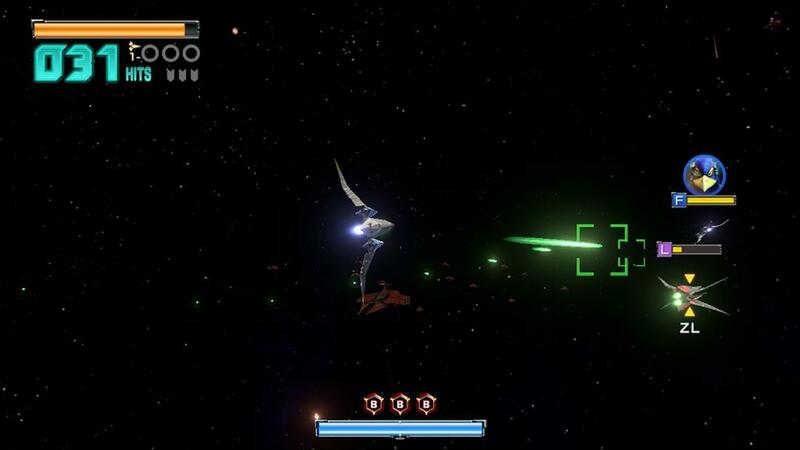 With this setup, you can have your ship flying one direction while shooting and focusing in another. 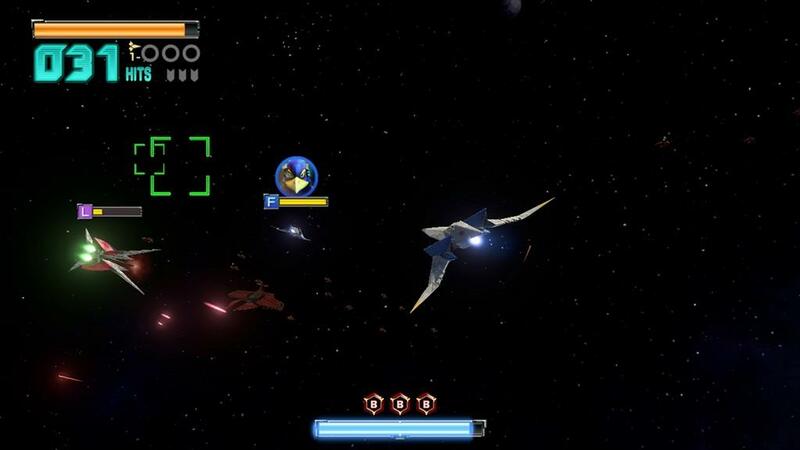 There is even a focus on the dual-screen setup of the console, with your television showing you a third person view of your ship in action and the gamepad provides a cockpit view that may offer a slightly different perspective. This is useful for things such as attacking ground targets or focusing on specific weak points of large bosses that you may be flying all of the way around(physically). However, that theory doesn’t exactly translate well into actual application. Even after a few hours with the setup, it still feels foreign to me. I had hoped that it would grow on me and become more comfortable over time, but it feels just as awkward as it did when I first fired up the game. It is very easy to become disoriented as you try to make use of all three functions. The one saving grace is that you can instantly re-center the targeting reticle with a simple click of the left analog stick (or the Y button). I find myself doing this quite often, but it still never feels like it is an efficient system. Like I said before, I see what the developers were trying to accomplish but it just doesn’t work for me. The game should really offer an alternate, classic control option for those who cannot get the hang of things, which I feel will be a large amount of players. Unfortunately, that option does not exist at this time. There are still a few weeks until the game launches and I am crossing my fingers that a patch shows up that adds some alternate control options to the game. Despite my frustrations with the controls, I still find myself going back to the game repeatedly. This is not just to plow through the campaign and other modes, but to go back and improve my scores in the various levels and earn higher medals and awards. That classic charm that promotes repeated play is still there and still stands tall over my frustrations. 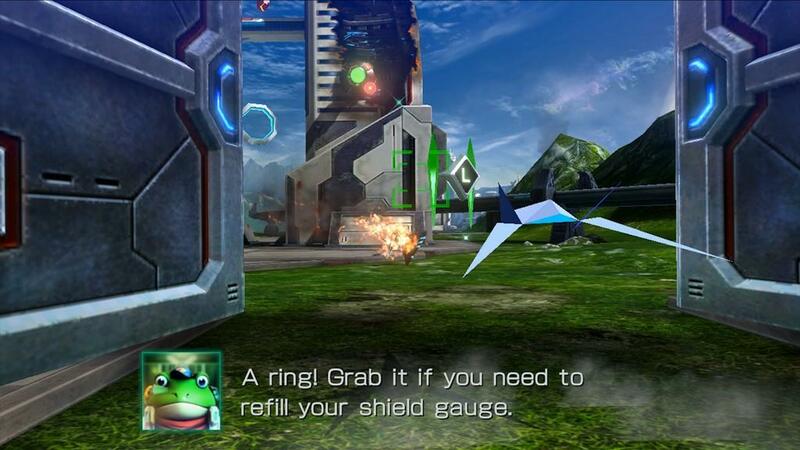 Nintendo has the potential to create another classic entry for this franchise with Star Fox Zero, they just need to be willing to give players a few more choices in terms of how they are going to play the game. 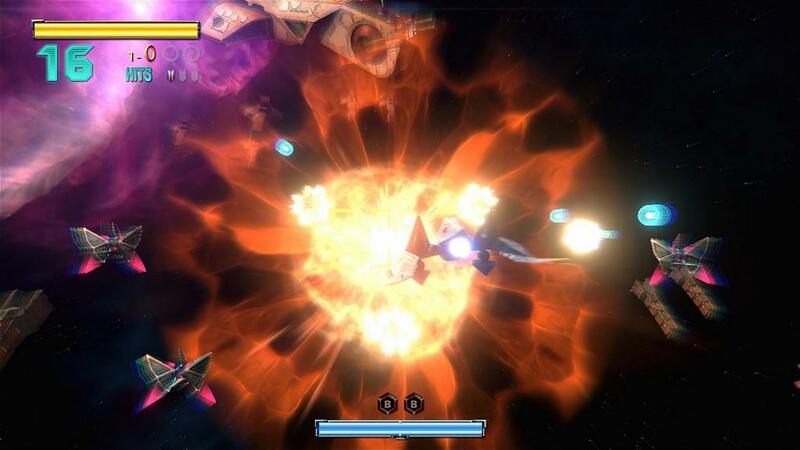 Star Fox Zero launches exclusively on the Nintendo Wii U on April 22, 2016.